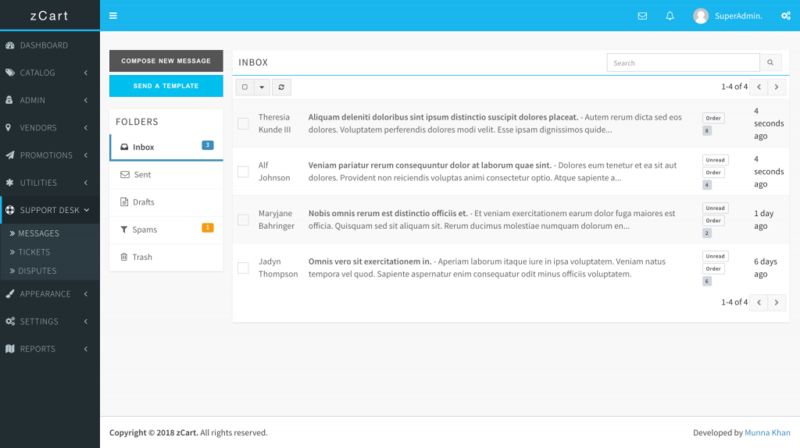 A complete mail inbox module where you can receive, send and draft messages. The message module design to communicate with customers (customer-merchant and customer-platform). Vendors have their own inbox to manage the communications. The contact us form messages also will be in platform inbox.